Product prices and availability are accurate as of 2019-04-17 22:38:03 UTC and are subject to change. Any price and availability information displayed on http://www.amazon.com/ at the time of purchase will apply to the purchase of this product. Warm ever so slightly and drizzle over ice cream. Spread on a BAGUETTE, and a few SLICED PEARS. Go ahead, dip a PRETZEL right into the jar. PEANUT BUTTER and CHOCOLATE TOAST? Now you're talking. WHO'S THE DATE LADY? She's the DATE AFICIONADO, and she keeps her ingredients PURE and SIMPLE. You an count on every product she brings to your table to TASTE GREAT. Include only MINIMAL INGREDIENTS and contains NO GLUTEN, NO DAIRY, and NO PROCESSED SUGAR! 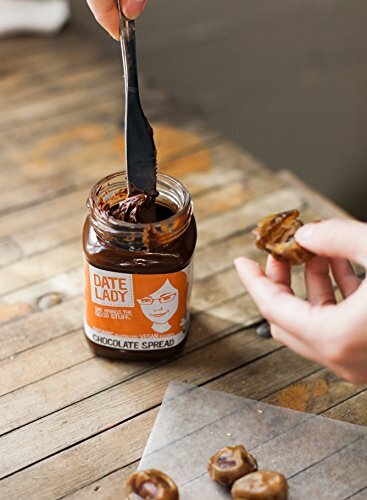 A PALEO and VEGAN CHOCOLATE spread that heated up tastes like your grandma's homemade fudge sauce! No cane sugar, no vegetable oils! Only rich, indulgent organic ingredients and fair trade chocolate. 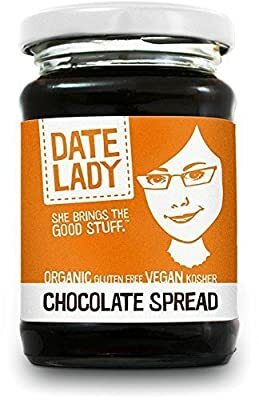 Use instead of Nutella for nut-free enjoyment on toast, fruit or ice cream or as a frosting on cake! 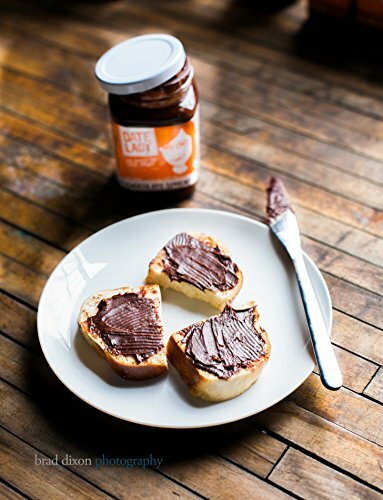 Gluten-free and dairy-free still tastes good in this KOSHER spread using no artificial ingredients. Dates complement cacao & deliver the perfect alternative sweetener in place of processed sugar!